Now that we have lots and lots of eggs from our dear hens, we are trying to get creative in the kitchen! Spanish tortilla is a favorite of mine because it is a quick, really easy recipe and you can throw any vegetable in there to avoid food waste. Diced bell peppers, jalapeños, garlic, tomatoes… will fit perfectly. This recipe I made with a zucchini, but the real Spanish tortilla is just potatoes and eggs. 6 eggs or more, depending on the size of your pan. 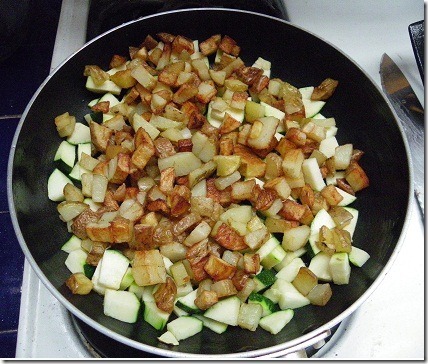 First, I fry the potatoes in small dices, when they are golden I remove the extra oil and put them back in the pan (with raw zucchini in the picture). You can also add lightly fried onion and some chopped garlic. The real Spanish tortilla uses boiled potatoes but I find fried ones give it a crunch and a bit more taste. Beat the eggs with salt and pepper to taste (I add a splash of milk for a lighter mix) then pour over the potatoes on the pan. It should cover them or almost. Cook for 5 minutes on a light fire. It is then time to flip the tortilla. That’s the hard part. Because my pan is big, I used a chopping board to flip it, you can use a plate. Put it over the pan, hold it firmly, and flip the pan so the plate is now down with the pan over it. Remove the pan and put it back over the fire. This is what the tortilla looks like when flipped, but because the bottom is still uncooked you have to act quick or the eggs will run. Put the flipped tortilla back on the pan and cook for another 3-4 minutes. If the running eggs made a bit of a mess in the pan, use a spatula to put the tortilla back together. Voila! Your tortilla is ready to eat. I generally let it cool down a little then cut it in squares a put toothpicks to share. You can add a little bit of ketchup on top. 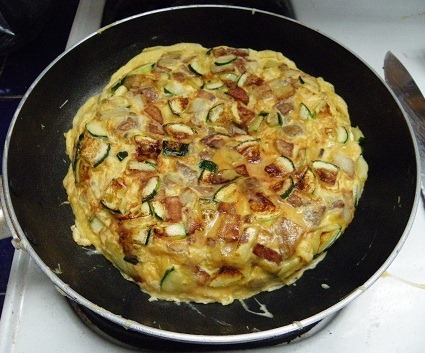 This tortilla can also be made with some cheese, mushrooms, ham, bacon, any ingredient you would put in a regular omelet or frittata. Total for 4-6 servings $2.25. The cost is really low, especially if you are serving it at a party instead of commercial snacks, a tub of Pringles costs $2.5 at my nearby supermarket. Bon Appétit! What is your favorite egg recipe? 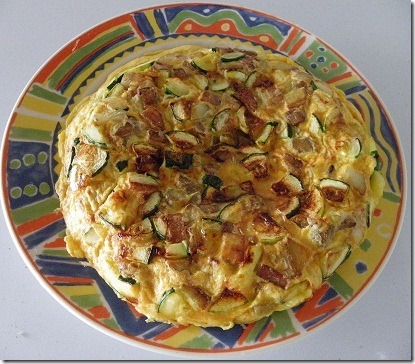 frittata is the Italian equivalent, although Spanish tortilla is mainly for potatoes, frittata people put anything in. Sorry I meant $0.25 each for the eggs, I just changed it! Looks delicious! And simple too. Thanks for sharing. Matt Becker recently posted..Is a Coffee Habit Comparable to a Debt Habit? Looks amazing! I love simple, healthy, recipes, and this definitely looks like something I would consider cooking. You are either a great photographer or a great cook or both! Those look absolutely yummy! I only like eggs in cakes or cookies which is too bad because they are an inexpensive source of protein but I don’t like the taste. Is fish the primary protein in the area given that you live on the water? Or is the beef that you recently sold more common on the dinner tables? Beef is too expensive for me in Canada and is an occasional treat and the only fish in my budget is frozen or canned. For some reason, very few people in the village go fishing. They eat little meat too, at $3/lb when they make $8/day it is expensive. But generally they eat more meat than fish, they kill a chicken once in a while or share a pig between a few neighbors. We eat mostly beef and pork, waiting for our chickens to grow to eat them. We have fish once or twice a week, beef or pork on most of the other days, and vegetarian days with pizza, quiche, tortilla or some other egg based dish. That looks awesome Pauline! My wife is always making an omelette or something so I’ll definitely have to pass this on. We’re always looking for different things to make with all the veggies we’ll be puling from the garden soon and this looks perfect. yes, you may want to try a quiche too to use the veggies. Our little guy loves potatoes and loves eggs, so combining the two is a guaranteed win! We might even be able to sneak a couple new veggies for him to try in there (which shouldn’t be a problem because the only thing he flat out won’t eat is Jell-O). I can see myself destroying a few of these as I try to flip them in the pan out of stubbornness. This and quiche are great ways to sneak in veggies and have the kid eat them. I do flip pancakes but you DON’T want to flip a tortilla, it is really thick and heavy and would break, guaranteed. Ideally, you have two pans of a similar size and can just put one on top of the other then flip, because the eggs can run on a plate or chopping board. Now not only does this look great and will fill the boys up it is very cost effective. All of this for under three dollars. I know people who spend that on one Starbucks coffee. This looks delicious, if not very healthy (haha). I love making things like this – I have a big affinity for potatoes. Particularly breakfast style. I’m with you on the frying of the potatoes. Michelle recently posted..What Is Your Pet Worth? How much would you spend on a sick pet? Adam @ Money Bulldog recently posted..How’s Your Economy? I love food posts! 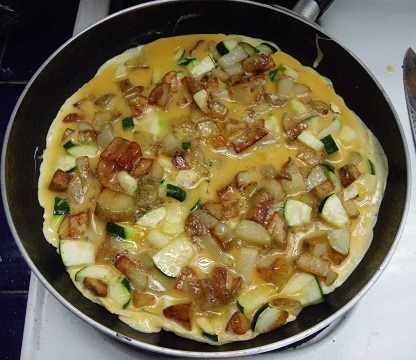 Omelettes are one of my favorite breakfast meals, but I’ve never seen one just flipped over in the pan, instead of folded in half, I’ll have to give it a try (though it looks even more daunting then just folding it in half…) Great idea serving it on a party platter too- I love some of these ideas! 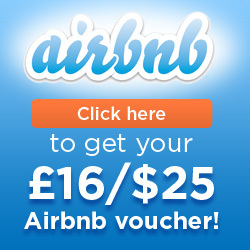 We do a variety of this and it’s always so good! Love the pictures and descriptions. Maybe you should be a chef? This looks awesome and super easy to make. I was actually planning on making this tonight or tomorrow. It’s still one of my most favorite things my mom made for me when growing up, and she makes it exactly how you described – just potatoes and eggs. So simple but so yummy! Wow this looks delicious! And somewhat easy to make too, maybe I’ll save this recipe for the next time it’s my turn to cook. I love a cheap meal that tastes good too! Kyle @ Debt Free Diaries recently posted..We’re Back! Wow, I would’ve never tried this before seeing those tasty looking pictures. I’ll have to add it to the recipe book and try it out. It kind of looks like a monster omelette. 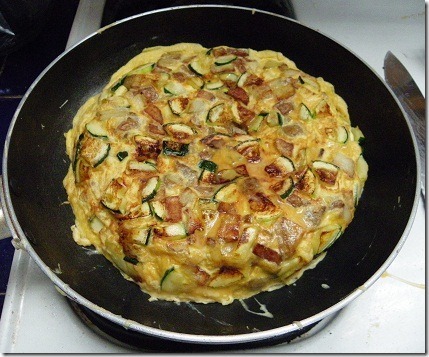 it is a thick omelette, that you can cut like a pie to serve 6 or more. If you keep putting food like that on the screen, I don’t think I can come here anymore. Too dangerous to my waistline. it is only eggs and potatoes, much better than a bag of chips! That would be a great dish to serve at a party. The pretty plate makes it that much more appealing. you need to cook it well for a party, so it is not runny inside and stick well on the toothpicks. I was just about to go to bed and now I am hungry! I’ll forgive you though because I think there is a great brunch in my immediate future. 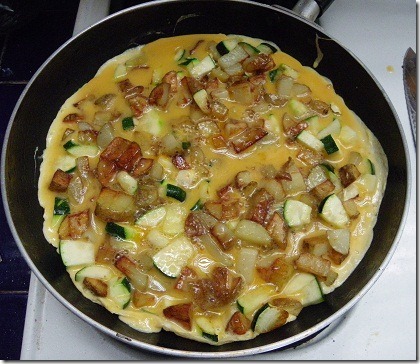 My Spanish Tortilla Recipe on my blog looks like a monster compared to yours lol… although you make yours a bit different. We made one the other night with potatoes layered with potatoes it turned out amazing!! Thanks for sharing this. Ah, Pauline! The Spanish omelet saved me when I was a senior in high school. I was in the Canary Islands on an exchange program when the mother served octopus. It was cold and pickled, and I tried my “make-momma-proud-and-just-eat-it” attempt but gagged. She made me the traditional potato and egg omelet, and I still think about it to this day. It was one of the biggest delights my palate has ever experiences. I’m sitting in a place called The Egg & I. Perhaps I will go in the back and use your recipe to make my own breakfast! This looks awesome! I love tortilla, i’ve not made one in ages. Personally I like to put a bit of tuna in mine too, just to mix the flavours up a little. Thanks for sharing. tuna sounds like a nice touch, thank you for the tip! See? Tasty eats do not have to cost an arm and a leg! That thing looks freakin’ spectacular. I mean, I wanna jump in the middle of that and have a swim. Unreal, Pauline. I just ate, but I am suddenly famished. Thanks for this Sunday’s breakfast menu at Hoombah House! 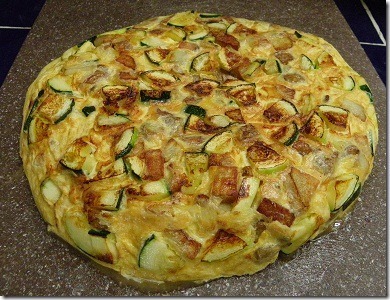 We love tortilla de patata….make one and we eat off of it for a couple of days. It keeps quite well in the refrigerator. I slice the potatoes instead of dice them, but that is the only difference. This makes a surprisingly hearty breakfast or snack. Looks delicious! I just bought a bunch of farm eggs from a co-worker who keeps chickens, so I will definitely need some egg recipes in the near future. Nice recipe! I love simple ingredient recipes. I’m really slow at kitchen prep, so I like easy recipes like this one. I’ll give it a try next time I pick up some eggs at the store. Thanks!